Recently I lost the joy in writing I have been writing along a series Fruit of the Spirit. I think there is much that even I can learn from the series, but I think it might time to put it aside for now and write from the heart for a bit. Perhaps by writing what is on my heart and mind I will be able to find some of that joy and passion again. As spring is arriving in Northern Alabama life is changing around the Russell household. Planting has begun in the small greenhouse. My laundry room is being taken over by seedlings. Baby chicks are taking up residence in the master bedroom. We have even said goodbye to Chloe’s chicken, Tinker Bell. Rusty has taken on a number of projects around the property. If you wandered around you would find the new chicken coop he is building, and the large greenhouse he is assembling. The back yard now has a small fenced in area for the dogs, now if only we could find all their escape routes from it. The CNC machine is coming along, and the business along with it. We have even brought in a new member to the household, my sister-in-law, Samantha. She is staying with us for at least the next few months. I have to say the extra set of hands has been a godsend. Rusty and Chloe working on the frame for the large greenhouse. 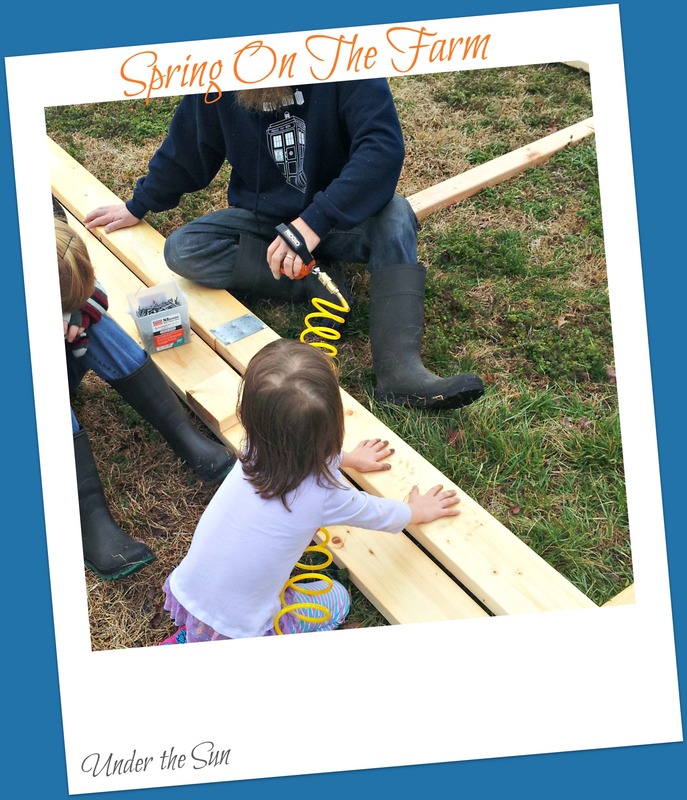 This entry was posted in Homemaking and tagged Farm, spring on March 17, 2014 by Sara R.
Confessional Time: Instead of A Recipe A Glimpse Into Our (Sorta) Farm Life. Alright it is confessional time. I had big plans of sharing a recipe for you today, but alas with the weekend that I had it did not come together. Honestly I barely had time to cook. We had 1 home cooked dinner in 4 nights, and 2 of those nights we had Little Caesar’s Pizza. So instead of sharing a recipe or something for the kids with you today I decided to show you what the hubby and I have been up to for the last 3 days. 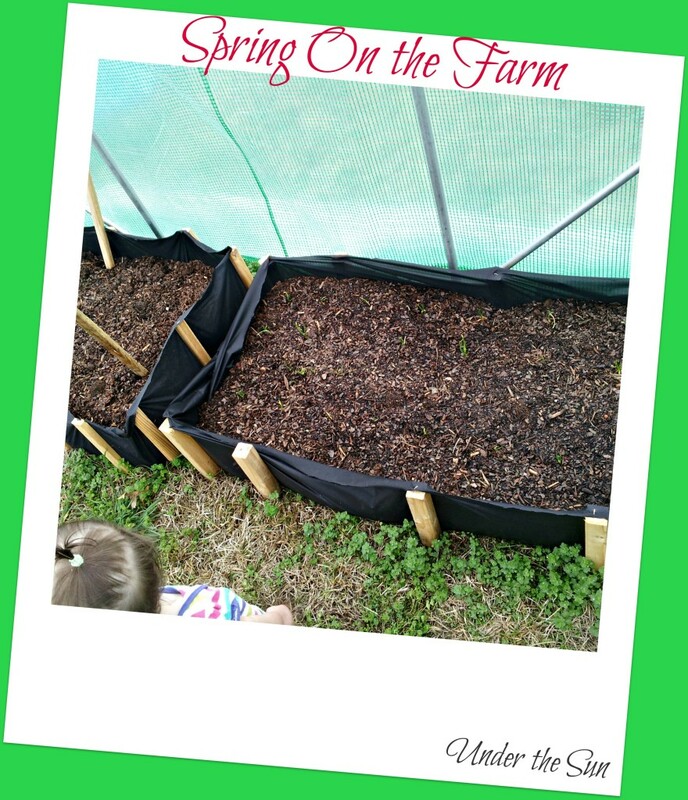 This entry was posted in Homemaking, Life and tagged Farm, Garden, Homestead on January 21, 2014 by Sara R.